Today I have the honor of sharing an audio interview I did for the lovely Emily Davidson of Fashionability. 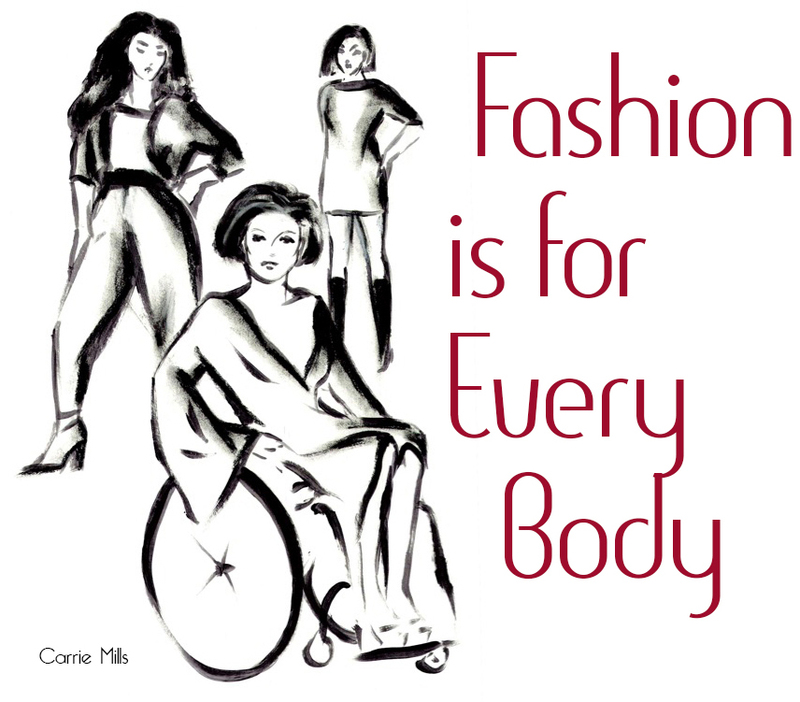 The focus of Fashionability is accessible style for everyone, and it was a privilege for me to talk about fashion and style from an inclusive point-of-view. I'm so happy to have another guest post from my beautiful, talented IRL friend Kimmie Jones, also known as That Girl in the Wheelchair. Yup, she actually puts up with me in real life! This time around Kimmie shares her practical experiences and advice - her Tao, if you will - of shoes. April 2nd, the second night of Nashville Fashion Week, will feature 10 of fashion's Emerging Designers. The Runway show will take place at Ruby followed by an after-party at Music City Tippler. Here's a glimpse at the designers that will be showing their Fall 2014 collections that night. Do you know about Stitch Fix yet? If you don't, then you should. Stitch Fix is a personal styling service that caters to your unique style, size, and budget. You fill out your Style Profile, pay a $20 styling fee, and in a few weeks you receive five items hand picked just for you delivered right to your door. The RMS Titanic was touted as being unsinkable. Over 2200 people set sail on it's maiden voyage; only 700 survived. Sometimes, life hands us Titanic times. We build something that is solid and superior in quality and reputation only to watch it sink before our very eyes. I'd like to introduce you to one of my favorite disabled bloggers and Roll Models, Tamera Wolfe. I asked her about her style in this 10 question interview.